The Jackson campus boasts two freestanding classroom buildings. 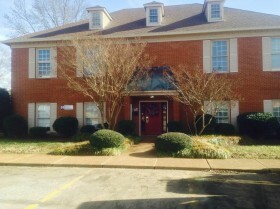 Located in a corporate setting on Murray Guard Drive with quick access to the Hwy. 45 By-pass, evening classes have been held in this location for 10 years. Each building boasts ample parking, complementary wifi, a student break room with vending machines, and a kitchenette. The CPS Human Resources Department and Student Services Center are both housed at this campus.